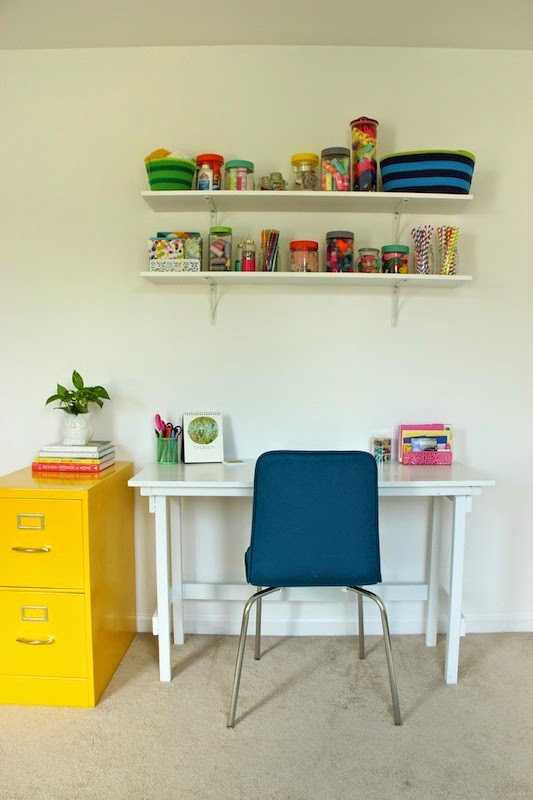 Today I'm excited to share photos of my newly completed craft room/office! Click through to see before & after pictures. ...and here it is after! This room just makes me so happy! It was such a fun room to think about and decorate, one of my favorites for sure. For starters, the blue paint clearly had to go. We left the room blue and dingy for almost 2 years, stuffing a couple desks, an old file cabinet, and other assorted junk in there. I never used the room because I hated how it looked, so I decided it needed a makeover. 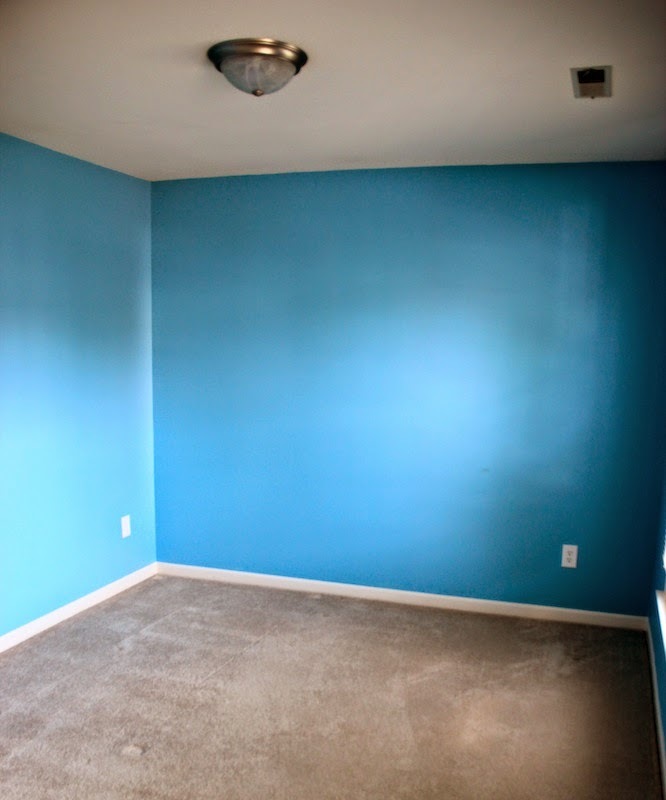 I knew I wanted lots of bright colors, so painting the room white was the only way to go. You can see some of my ideas for the room here, and I'm so pleased that I ended up doing everything on my list! My other goal was to not spend very much money. We definitely needed to buy paint for the walls, but I didn't want to spend much on new office furniture or decorations, so I really tried to work with what we had on hand. This meant painting our old black file cabinet, an old storage cabinet (that I had almost thrown away), a desk that Caleb had built years ago, and painting other odds and ends we either had or that I had got really cheap. I had some of the glass containers already, and I got all of the others on major sale. Most of the prints I got off of Etsy, but a couple of them were from an old Kate Spade planner I had. 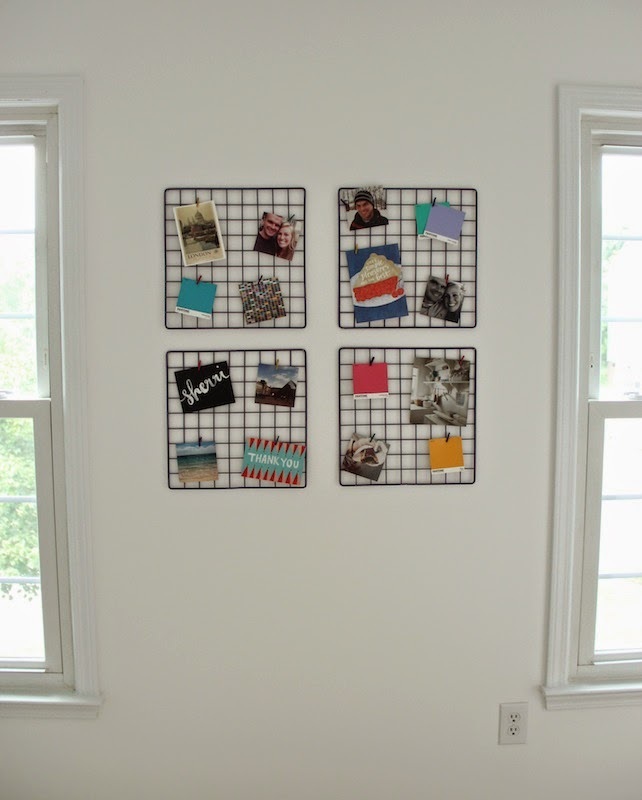 The wire grids for the inspiration board were less than $1/each (! ), and we painted them ourselves. I did have to buy the shelves and the chair, but that's not too bad for a whole office. I have found that I spend WAY more time in here now, and I love having a room that is so bright and cheerful. Thanks for taking a peek into our home! I love all the bright colors! And what you did with all the jars above your desk? Genius!!! It looks beautiful, Sherri! I love all the pops of color and I love that you took the time to get it exactly as you wanted. I struggle so much just trying to 'get something finished' that I end up with something less-than I had originally wanted. You're very disciplined, and it pays off! Enjoy your new space! Oh my I love it and it makes me smile just looking at the photos! So pretty! I love how colorful and fun it is! 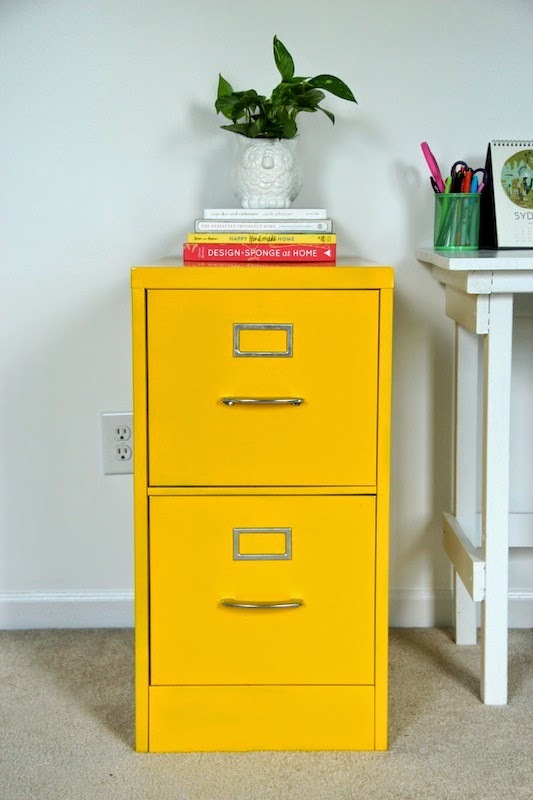 awesome - i love all the bright pops of color, much better than having bright blue walls lol. great job sherri!